Resurrect-p.m. - New exclusive brand of supplements! One of the best bodybuilders in the world - Ronnie Coleman - created an ultra-concentrated formula for athletes, which he applied for years. PROVIDES DEEP SLEEP UNDER R.E.M. 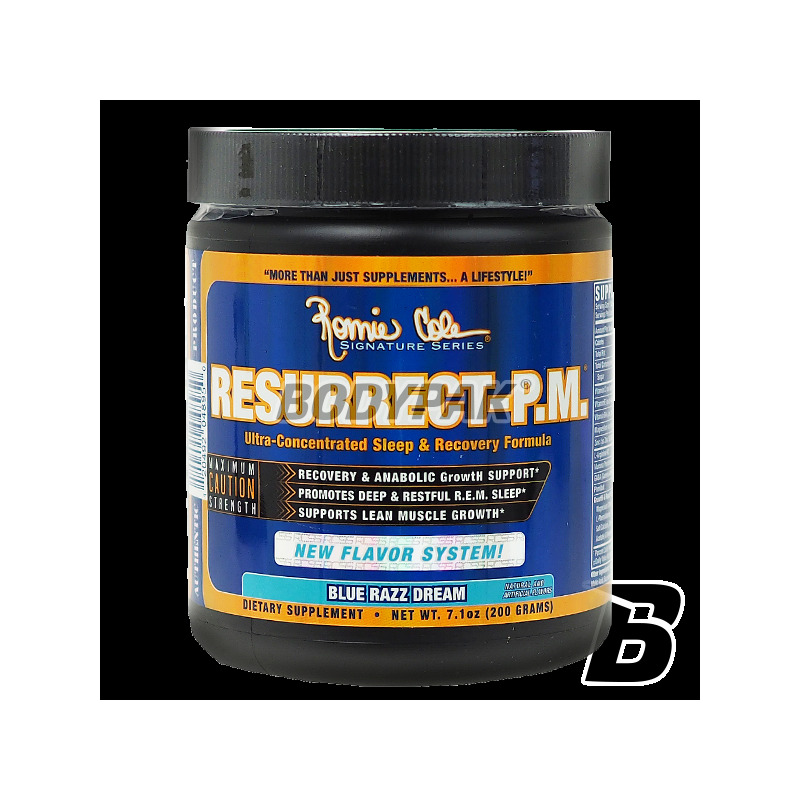 Excellent conditioner Ronnie Coleman Resurrect-p.m is a combination of high quality ingredients supporting the regeneration after training. 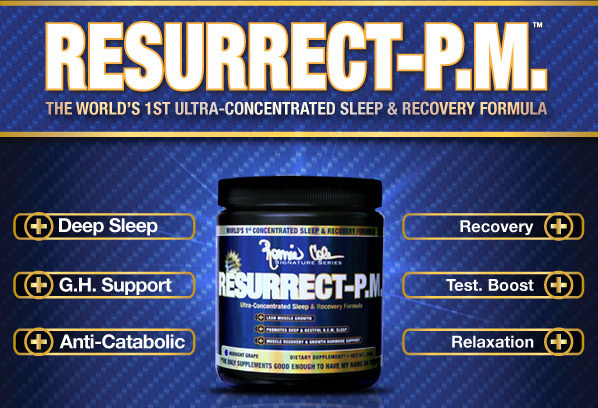 Resurrect-p.m in the shortest time provides renewal of muscle fibers after heavy training. Resurrect-conditioner regenerative p.m provides a hard, deep sleep, even when there is no time for a long rest. Thanks to Resurrect-p.m up to regenerate the body in a short time. Moreover, thanks to the production of adequate amounts of testosterone and GH, conditioner Ronnie Coleman not only facilitates regeneration, but it helps to avoid the effect of overtraining. 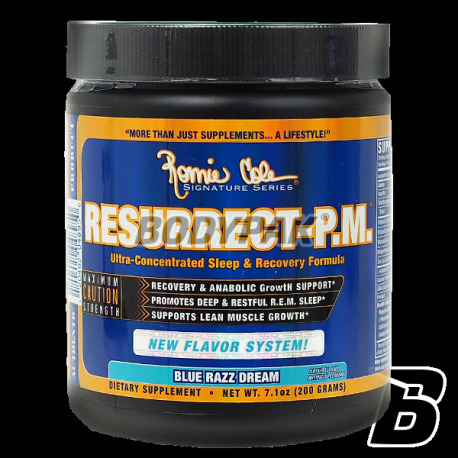 Using post-workout supplement Ronnie Coleman Resurrect-p.m wake up fresh and rested and regenerated up and your muscles are fully ready for the next workout! Magnesium - participates in many processes in the body of the athlete. Providing mineral is a key protein synthesis, as well as the proper functioning of muscle and nerve cells. Vitamin B6 supports the immune system and the nervous system. In combination with zinc, and magnesium, vitamin B6 supports production of testosterone. Zinc is an essential mineral involved in protein synthesis and hormone production. It also supports the immune system. GABA is an important neurotransmitter - supports the communication of nerve impulses. It relaxes, allows healthy, deep sleep. Creatine gluconate is a combination of creatine and glucose in one molecule. This ensures maximum absorption of creatine. Vitamin C is a powerful antioxidant. Vitamin E fights free radicals and promotes recovery after training and delays fatigue. L-arginine faster increase in strength and muscle mass.